So yesterday my littlest boy had his second birthday. 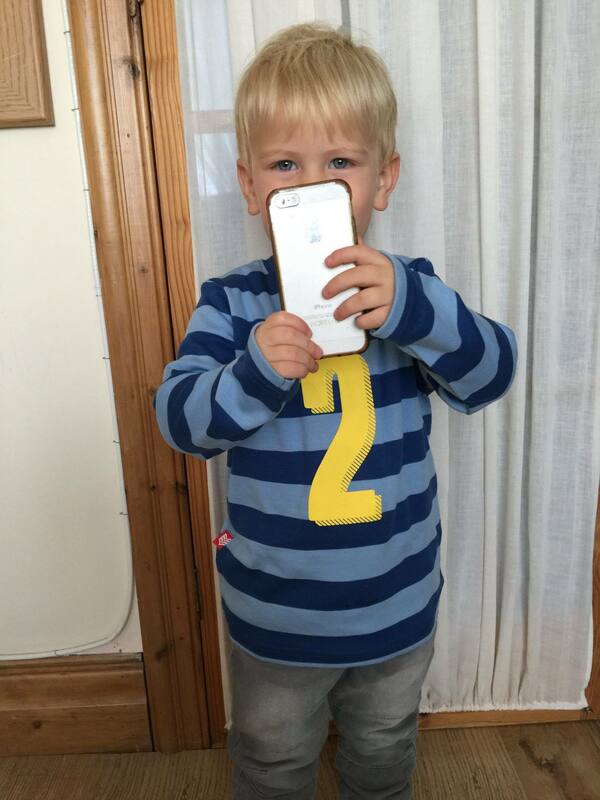 Noah is two! Where did those years go? To mark the occasion we were sent a Sgt. Smith Milestone Number Tee, and you can win one for your child too. See the end of the post for further details of how to enter. Noah is a pretty tall 2 year old. He’s wearing age 2-3 clothes, and most of the sleeves on his current clothes fit him perfectly, with no growing room, so I quite like the fact this Sgt. Smith t-shirt has sleeves with a bit of growing room. The fabric is a good quality stretch knit 100% cotton jersey, and it’s really soft. I cannot say yet how well it will wash, as it only arrived yesterday and has been worn for a short while. That having been said, the cuffs have already been dipped in Noah’s lunch, so it’ll be going in the next laundry load! The Milestone Tees by Sgt. Smith come in ages 1-6. 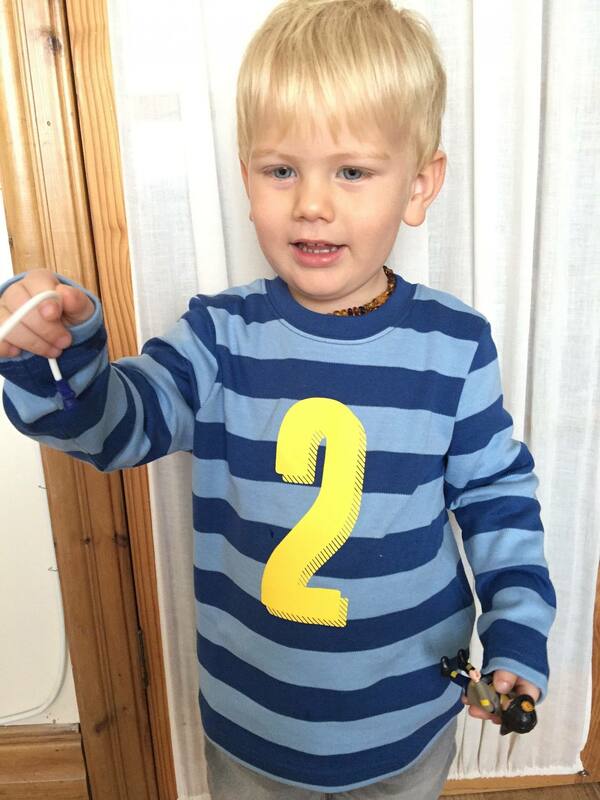 All tees are available in red/pink stripes or blue stripes, as you see Noah wearing. The one-year t-shirt has an extra option of grey/cream stripes, and has an envelope collar, whereas the 2-6 year sizes have a regular crew neck. Something I really like about the Sgt. Smith Tees is that they are hand screen printed in Yorkshire – it’s so good to buy local! Obviously Noah will be 2 all year, so it’s not a tee that needs to be put away after one day of wear – this seems to be a good quality t-shirt that can be worn all year round. If you would like to win a Sgt. Smith t-shirt with a number on (worth £15), please enter the giveaway below, using the Gleam widget. As ever, if you have any questions about how to enter, please do ask – I’d love to help if I can|! Giveaway ends 26 December 2016. UK entrants only. See the Gleam for full T&Cs.